This attractively laid out, quality park has individual pitches and good facilities and although outnumbered by caravan holiday homes, the touring section is an important subsidiary. Its facilities are both well designed and comprehensive. 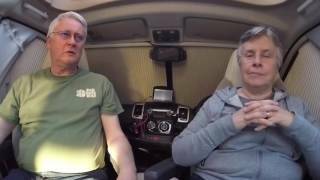 There are 58 level touring pitches on hardstandings with grass area for awnings (only ‘breathable’ type groundsheets may be used) and hardstanding area for cars on most. 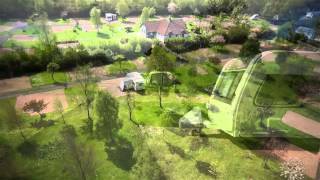 All caravan pitches are large (130 sq.m) and are equipped with 16A electricity, water and drainage. There are 15 larger patio pitches with summer house, barbecue patio, picnic table and chairs, partially screened. Tents are taken on a grassy meadow at one end, also with electricity available. 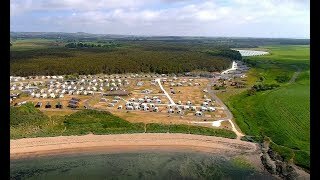 The 206 caravan holiday homes stand round the outer parts of the site; 21 are for hire from the park. Craigtoun Park with its boating pond and play area is within walking distance. This is a well run park, 1.5 miles from Saint Andrews with its golf courses and long, sandy beaches, from where there is a picturesque view of Saint Andrews and its ruined abbey and castle. An excellent, centrally heated, luxury sanitary building serves the touring area. All washbasins are in cabins and each toilet has its own basin. Showers are unisex, as are two bathrooms, with hand and hair dryers. Facilities for disabled visitors and babies. Launderette. Licensed restaurant (restricted hours in low seasons). Games room. 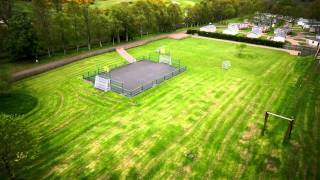 Well equipped playground, play field and eight acres of woodland. Information room. WiFi throughout (charged). Dogs and other pets are not accepted. From M90 exit 8 take A91 to St Andrews. Just after sign for Guardbridge (to left, A919), turn right at site sign and sign for Strathkinness. Go through village, over crossroads at end of village, left at next crossroads, then 0.75 miles to park.